Size: approx. 40 mm. Photo: 08/25/11, 10 pm. 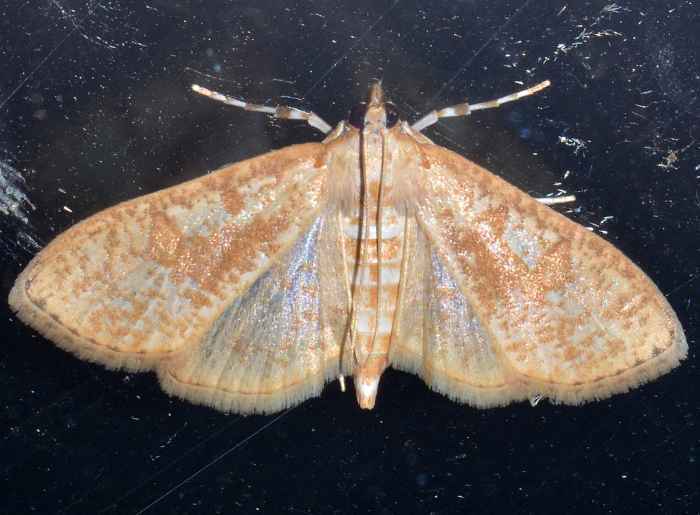 The genus Palpita has 10 species in North America. 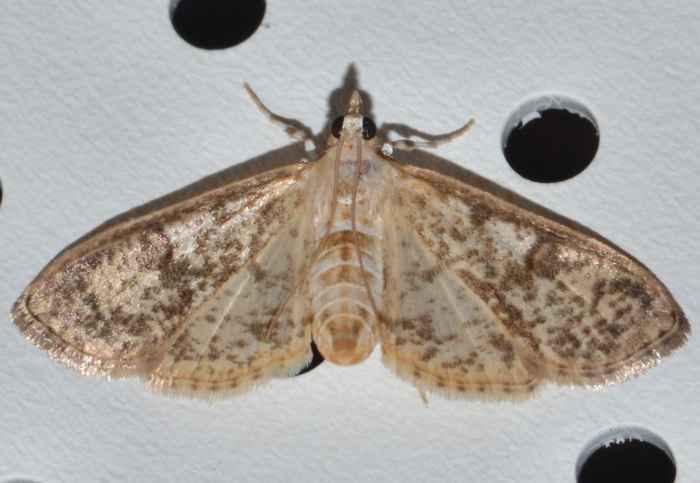 The small photo shows another specimen that might be a different species in Palpita (photo taken on 08/02/12).